Spring has sprung! Temperatures are warming up, and the flowers are blooming. 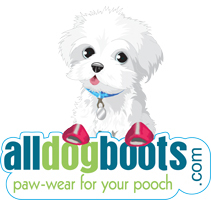 It’s time to put away the heavy footwear for another year and let your dog go stepping out in some cool lightweight shoes. They are perfect for keeping paws clean while playing in the park or at the beach and for protecting paws from spring pollens seasonal allergies, gravel and rocky asphalt.